Going from being a pediatrician without kids to being one with kids was a totally different ball game for me; there are just some things medical school cannot teach you. And that goes for all of the books and blogs in the world–it’s great for new parents to read them and prep as much as you feel like you need to, but that first pediatrician visit is usually a lengthy one no matter how much research you’ve done! 1. Does breastfeeding ever get easier? Nursing is tough and no pain no gain really describes those first few weeks of breastfeeding. The most important thing is to get lots of help from the lactation consultants in the hospital so that hopefully the latch and position is correct from the get go. In the first 2-3 weeks, it can feel like your little one lives on your breast and they hurt and get engorged and it is a easy recipe to feel like you want to throw in the towel. But I PROMISE, things get easier after those first 2-3 weeks. They feed more efficiently, your breasts are not as sore, you don’t have to worry about how much they’re getting and if it is enough because usually by that point you can recognize the signs of fullness. Most newborns need to nurse at least every 2-3 hours during the day and should not go more than four hours at night without feeding. But the easiest thing to do is to feed on demand. Please do not try to schedule newborns! It can be dangerous and usually leads to more crying on the baby’s part and more stress for you. 2. What are the most important things every new parent should be aware of? If your baby has a fever (rectal temperature >100.4) in the first month of life, they will be admitted to the hospital for a work up. 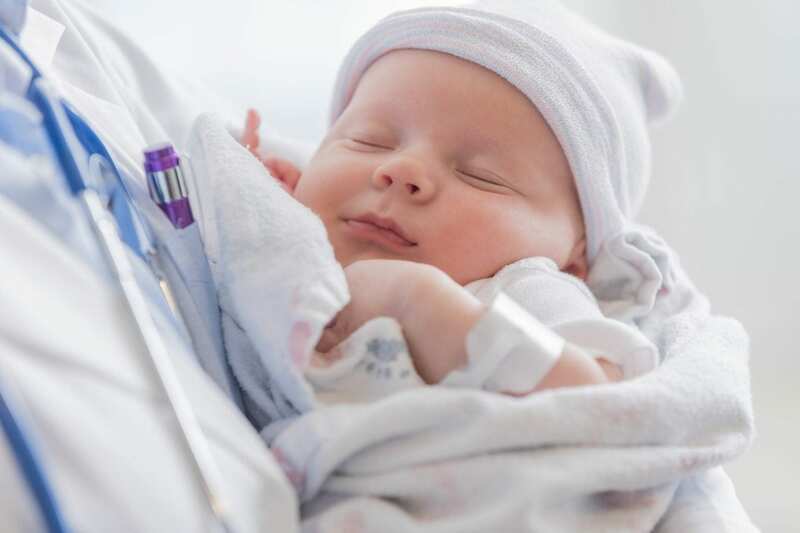 Please always bring them in if they have a fever, especially in the first few months of life, but know that if a high fever occurs during that critical first month of life, they will be going to the hospital. All babies should be placed on their back to sleep. There is a high risk of SIDS if they are placed on their belly to sleep. They should always be in a crib/bassinet for sleep, and the only thing that should be in there is one fitted sheet. No crib bumpers, no blankets, no teddy bears. They can stay in a swaddle until they begin to roll and then they can go into a sleep sack. 3. I don’t understand my newborn’s sleep. Newborns are usually awake much more at night and sleep more during the day. They sometimes cluster feed towards the evening hours, but might not give you a big break from wanting to nurse for those first 2-3 weeks. They overall sleep 16-18 hours a day and should always be woken from sleep if they are going more than 3 hours during the day without eating or more than 4 at night for those first few weeks. To try to adjust their days and nights, have them sleep in a common room where the blinds are open and you are doing your normal day activities and then keep night time very dark and quiet. 4. My baby’s poop is a rainbow of green, brown, and yellow. The only colors that are concerning for baby poop are red (blood), black (old blood), and white (liver problem). Other than those three colors, every other color is most likely normal. Breastfed babies poop is usually yellow and mustard like. Formula fed babies can have more formed and darker brown stools. 5. Can I take my newborn out? The best time to really have your little one out and around people is after the 2 month set of vaccines. Prior to that, they are at high risk of contracting illness, which is a lot more serious when they are that tiny. Feel free to go on walks and don’t feel like you are on house arrest, but I would avoid super markets, restaurants, the airport until they get vaccinated. I hope that helps some of you first time mommas and keep those questions coming at your doctors visits, even those of us who believed we were more “experienced” when it came to babies, were completely lost in the beginning!